Twitter users have engaged with the former Commander In Chief's message in droves. Following the recent events in Charlottesville, Va., former President Barack Obama shared a series of three anti-hate tweets quoting Nelson Mandela. 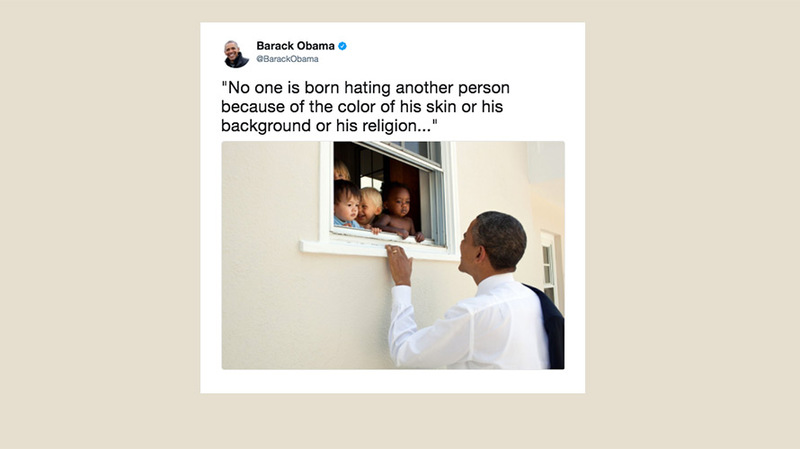 The first tweet contained a picture of the former president looking into a window at children of multiple races. Posted on August 12, this frst tweet in the series has quickly become the most liked tweet of all time, with over 3.3 million likes, as of this writing. The second and third tweets in the series currently have 1.3 million and 1.1 million likes, respectively.